The following are detailed specifications about the 5-inch Recessed Lighting Kit - Approved For Wet Locations. 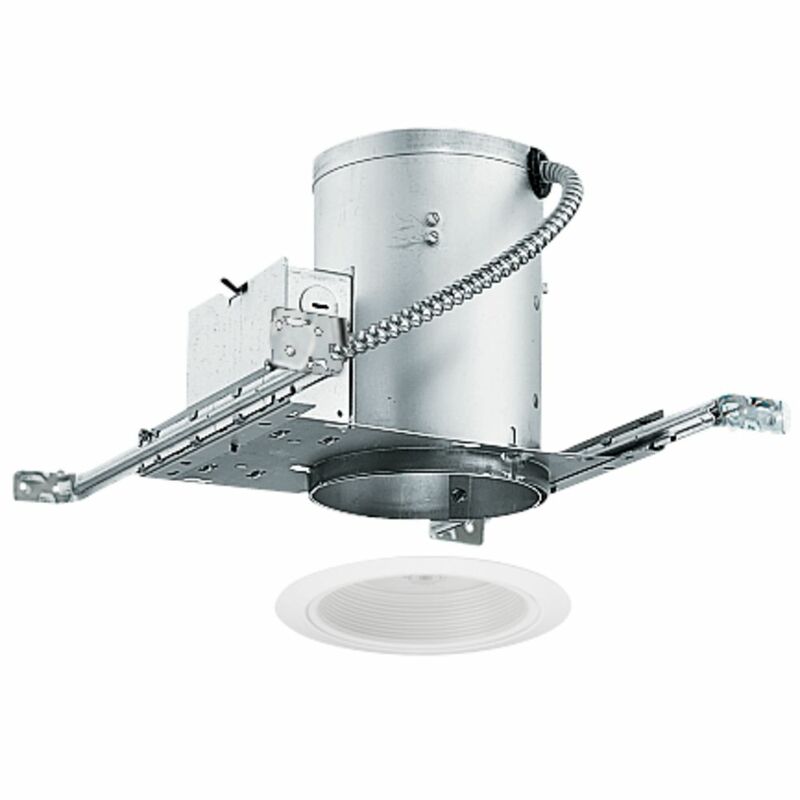 This recessed lighting kit features 5-inch insulation-ready housing and an enclosed baffle with a white finish. This fixture is approved for wet locations when an outdoor-rated PAR30 lamp is used. The housing can be completely covered with insulation. It is air-tight which reduces heating and cooling costs. The hangers are expandable up to 25 inches. This kit accepts a single 75-watt long-neck PAR30 halogen bulb. This 5-inch Recessed Lighting Kit - Approved For Wet Locations is part of the $item.xCollectionName Collection from Juno Lighting Group. The following items are also part of the $item.xCollectionName Collection.